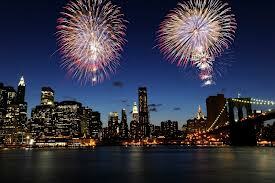 We all have that one holiday destination that we go back to time and again. This could be a local destination like the coastal town that you and your family have been going to for many years over the summer holidays, or it could be a international destination that you love so much you go back as much as you can. These destinations are great but every now and again you have to broaden your horizon by going on a trip that is truly special. Its like going out for dinner. We all have our preferred family restaurant that we love to go to, but every now and again we spoil ourselves by going out to a top class restaurant, at a high end location. We have rounded up 10 of these “spoil yourself” once in a lifetime trips that will inspire you to travel and appreciate the world we live in. The ancient Greek Gods really chose their home very well. If they had to stay anywhere on earth, it had to be on the beautiful Greek Islands, well that’s the story we prefer to believe in. If you haven’t been to Greece, you surely would already have seen hundreds of postcards and brochures of the Greek Islands in whichever corner of the world you find yourself in. With more islands under its control than any other nation in the world, Greece has a lot to offer. Sailing through these islands is an experience of a lifetime. Every island has its own history and customs, even those who are only a couple of kilometres away from each other. With a history that stretches back for thousands of years, history buffs will always find something to see or experience on the Greek Islands. The most popular islands among tourists are Santorini, Mykonos and Corfu. 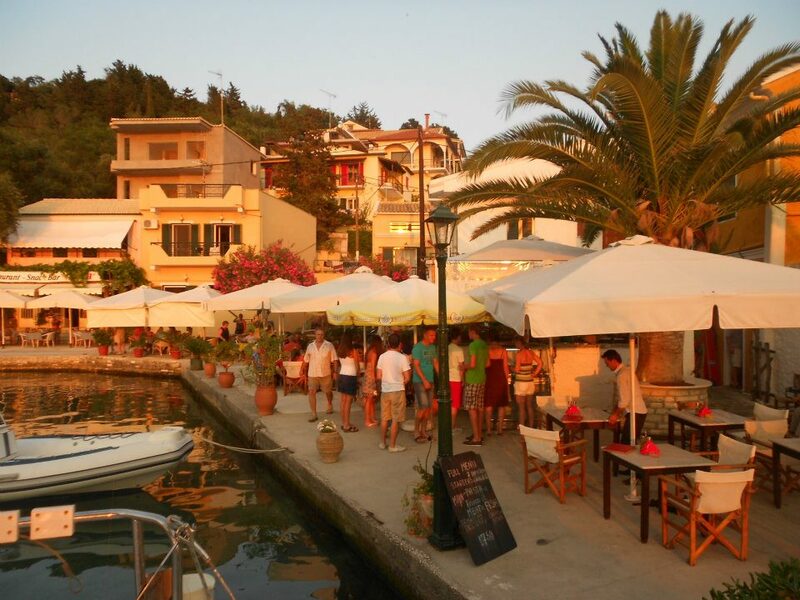 Greece also has some hidden islands gems like Hydra, Skiathos and Spetses that have not been overrun by mass tourism yet. When you sail through the Mediterranean Sea from one Greek Island to the next you’ll know why the ancient Greeks paid so much tribute to their gods by building them temples and statues that were larger and more extravagant than any other before them. They did so to thank them for creating such beautiful islands, that’s another story we prefer to believe in! What’s more fun that going on a golfing trip with your buddies? You dust off your clubs, pack your beers and head off to an exotic part of the country like the South Coast, Garden Route or Highveld to relax and party with your friend while swinging a golf club at a small white ball every now and again. All of these weekend golfers, however good they are at swinging the club, dream of playing where the game of golf was first played some 600 years ago in the 1400’s. The world oldest and most prestigious golf event, the British Open is played here every 5 years. 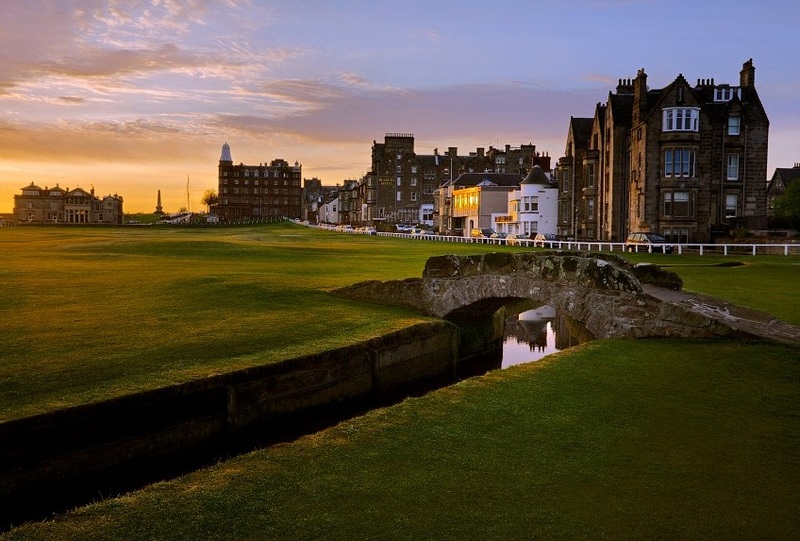 The place we are talking about is the Old Course at St. Andrews, the home of golf. This course is the home of golf but the Scottish coastline is the spiritual home of the game. The whole of the coastline is scattered with world class golf courses like Turnberry, Carnoustie, Kingsbarns and Royal Dornoch. 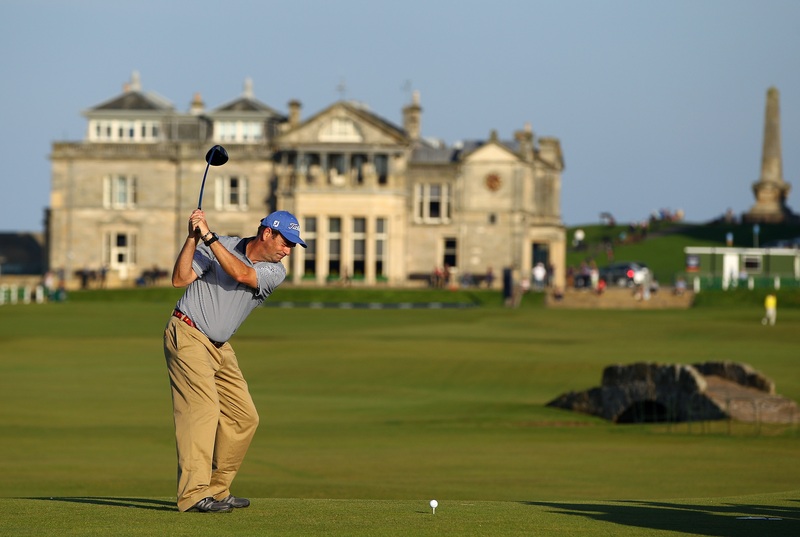 The country has more that 550 golf courses to choose from including links, parkland, highland and cliff-top courses. Not a lot of people know that these world class courses like St. Andrews and Turnberry are open to the public, at a cost that is. If you love the game of golf or if you love the sportsmanship and camaraderie that comes with playing the game then you have to go and play it where it originated, the spiritual home of golf, Scotland. You’ll be hard pressed to find a trip with as much diversity and natural beauty as a trip that combines the Cape Winelands with the wild bushveld of Southern Africa. 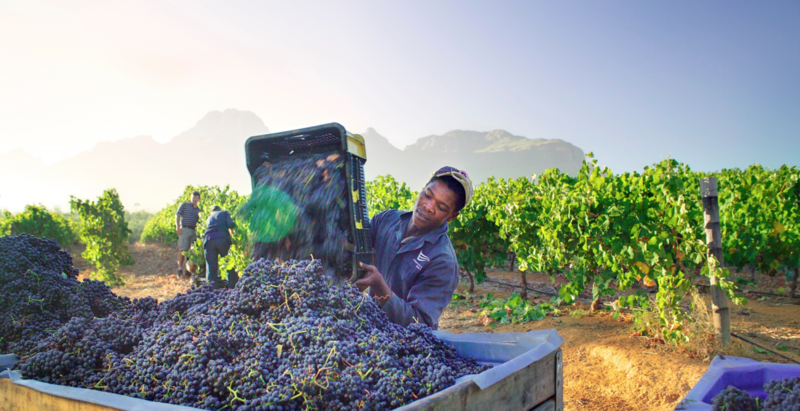 The winelands around Stellenbosch, Cape Town and Franschhoek quietly produce some of the world’s greatest wines and they are also home to some world class restaurant. The natural beauty around these estates are breath taking. When you sit on the terrace at Ernie Els Wines in Stellenbosch overlooking the Stellenbosch valley or at the tasting room at Haute Cabriere in Franschhoek which overlooks the Franschhoek valley you’ll understand why so many billionaires have bought up a piece of land on the Cape Winelands. The tranquillity and the beauty of this place is unmatched, and the wines aren’t that bad either. 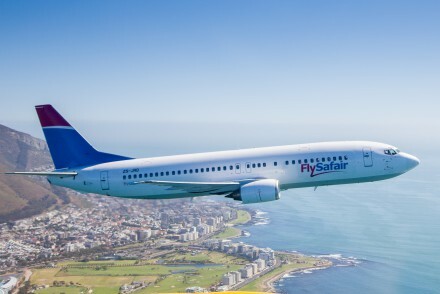 Once you’ve finished off your winelands experience it’s a short 2 hour flight to either the Kruger National Park or Maun in Botswana, the gateway to the Moremi and Chobe National Parks. The Kruger National Park is one of the largest wildlife parks in the world. The largest population of White Rhino in the world can be found here although they are being poached at an alarming rate. The accommodation in Kruger caters for everyone from the self-catering family to the millionaire seeking 5-Star luxury accommodation. Kruger can however get a little crowded while there is almost a certainty that you’ll never feel crowded in Botswana. The Botswana government has taken up a policy of high cost low impact tourism which means you have to pay a little more to come to Botswana but you’ll be able to experience real wilderness. A trip through the Okavango Delta, Moremi National Park and the Chobe National Park is said to be the best and most untouched Safari that you can do in Africa. 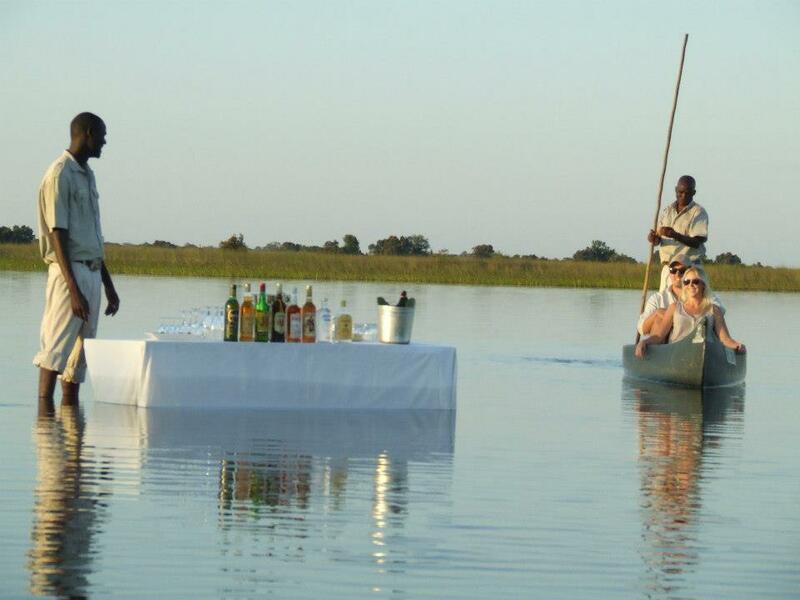 In the Okavango you do boat cruises and island walks, in Chobe you can see the world’s largest population of Elephants and some of the biggest lion prides in Africa while in Moremi you have a mix of land and water activities to choose from. We can go on and on about how special a safari in Botswana is but we think the best way for you to experience it is to just get on a plane and experience this once in a lifetime trip for yourself! If you’re afraid that you’re going to miss the wines from the Cape don’t be alarmed, the hotels and lodges in Botswana are well stocked with wines from all over South Africa for you to enjoy. 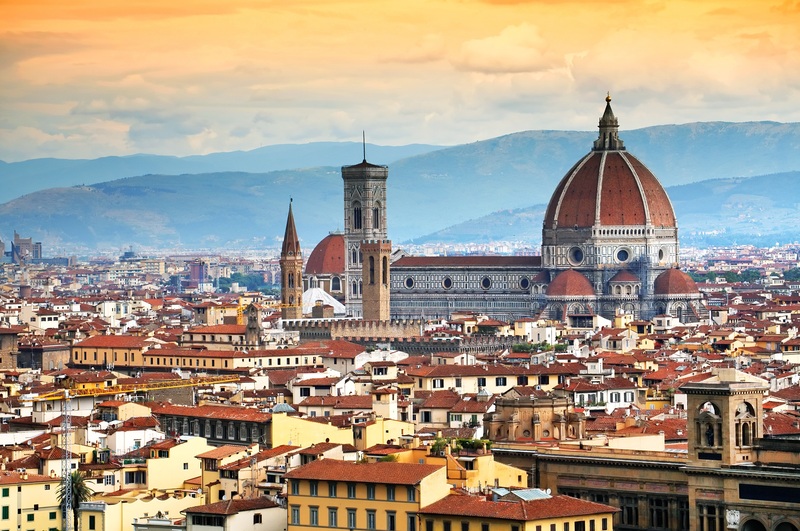 No other nation in the world inspires travel as much as Italy does. The country has a beautiful coast, fascinating history, breath-taking architecture, tasty espresso, creamy-tomato pasta, exotic cars and beautiful people, what’s not to like? Italy has a more fascinating history than any other country in the world. For a couple of hundred years the whole of the civilized world was ruled and revolved around Rome, the modern-day capital city of Italy. Today most of the world’s most famous and beautiful historical buildings and structures stand in Italy. If you start naming the beautiful cities and landscapes that Italy has to offer you start wondering why anyone would ever go anywhere else but Italy. The Amalfi Coast has breath taking views and exotic cars, the Italian Lakes have natural beauty and George Clooney, Rome has beautiful architecture and a fascinating history, Venice has romance, art and culture and Milan has glamour and fashion. A Historical tour through Italy is an absolute must for every world traveller. The country boasts ancient ruins, gothic structures and medieval castles from some of the most significant historical periods of European history like the Italian Renaissance and the reign of the Roman Empire. 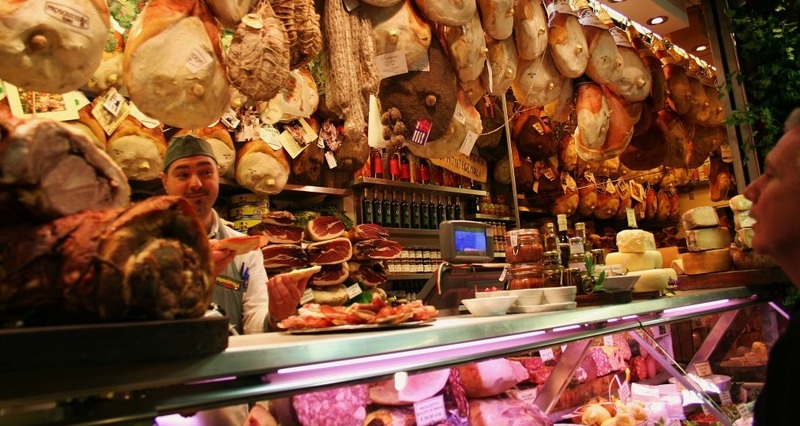 Of course a trip to Italy would not be complete without eating as much Italian food as you can manage. From authentic pizza to delicious gelato, every Italian dish will delight your taste buds. Italy has something to offer for everyone from romance in Venice and Florence to skiing on the snow-capped Alps to relaxing on Mediterranean beaches, Italy is the best all round tourist destination in the world. When you imagine a true island holiday you immediately think of palm trees, fresh seafood, interesting locals and warm sunny beaches where you can sip rum while “buffalo soldier” from Bob Marley plays in the background. This is the idyllic island vibe experience but the truth is that it is becoming more and more difficult to find this traditional island experience. Major international hotel groups have ascended onto the worlds tropical islands, setting up huge resorts where people seldom leave the premises. Don’t get us wrong there is nothing wrong with a resort type holiday but a true island holiday is where you experience the daily lives of the locals and where you can take in the true vibe of the island lifestyle. There are still islands where you can experience the old style island holiday that we are talking about above. The Caribbean is what first comes to mind when you’re look for a real island experience. You have to look for off the beaten track destinations in the Caribbean if you’re looking for an authentic island experience, because American tourism through mostly cruise holidays descend on the Caribbean in large numbers. Saba is the most unspoilt island in the Caribbean. Because it is so untouched by tourism and development it is affectionately known as the Unspoiled Queen of the Caribbean. Fiji in the Pacific Ocean is also a great island destination. Here you can experience the ancient cultures of the Fijian tribes while enjoying the island paradise. A little closer to home we come to the islands of Reunion and Zanzibar. Reunion is fast becoming a very popular tourist destination with France declaring it visa free for South Africans. The island is great for adventure seeking travellers. Here you can walk up to an active volcano or even take a helicopter flip over it. Zanzibar or the Spice Island as it is affectionately known lies off the coast of Tanzania. The spice trade that Zanzibar ran with Arab countries to the north is what made this island famous but today it is known for its white sandy beaches and healthy coral reefs. Here you can experience the authentic island lifestyle as the island has remained largely untouched. 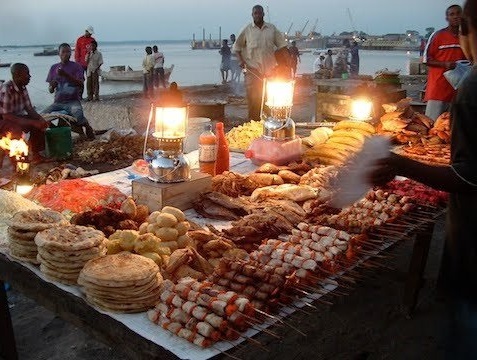 The food on the island is amazing, fresh seafood is caught off the coast and wild spices are grown on the island, the fish and the spices are mixed together to produce some amazing dishes. If you’re not the adventurous type and you enjoy the comfort of the resorts that’s fine, but get out a bit and look for one or two authentic island experiences, we promise you’ll enjoy it. The Northwest Passage Cruise heads along the Alaskan, Canadian and Greenland shoreline. The heavily iced passage melts enough to allow the L’Austral cruise liner to operate through it for only a couple of weeks a year. 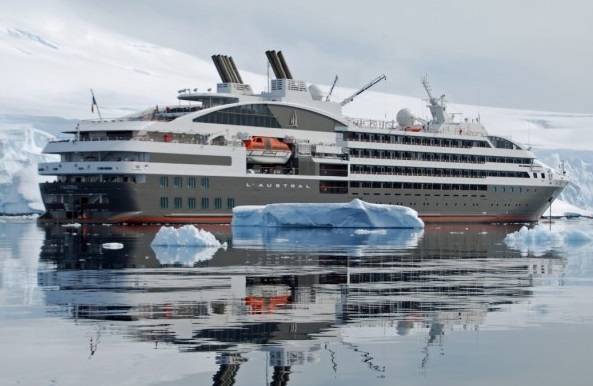 The voyage starts on the west coast of Greenland and ends on the West Coast of Alaska or the East Coast of Russia, depending on the route you decide to cruise on. Along the way you’ll be able to see some amazing animals like the walrus, narwhal and beluga, Minke and Gray whales, snowy owls and peregrine falcons. 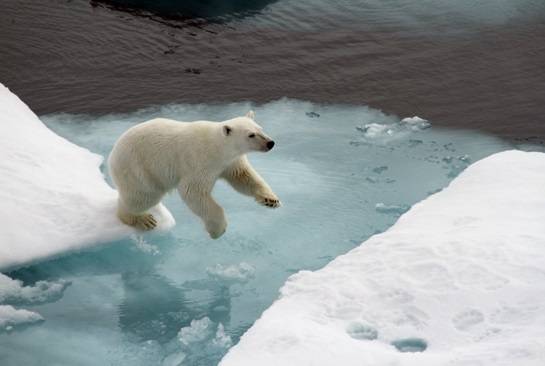 What makes this trip all the more exiting is the prospect of seeing the endangered polar bear in its natural habitat. On board the cruise field scientists, historians, naturalists and cultural experts will be at hand to educate, give professional insight and lectures on the landscape and the fauna and flora. This cruise is the only way you can experience the “roof of the world” while staying in comfort and luxury, it’s not so much fun to sail across this route on a 39 foot Monohull sailing yacht, trust us. This voyage is the perfect mix of luxury and adventure travel, a true once in a lifetime experience. With its snaking country roads that run past vineyards, quaint little villages, olive groves and lavender fields, Provence is the essence of what country lifestyle living should be. Provence is a historical province of France that stretches from the Italian boarder to the east to the Rhône River in the west. What has become very popular is cycling trips through the back roads of province. 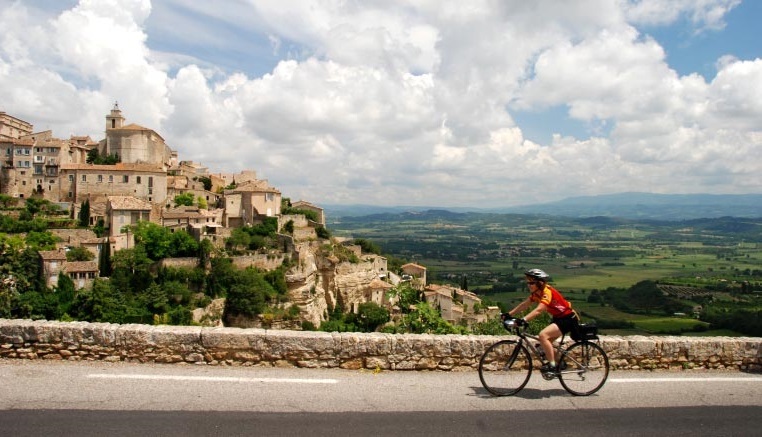 Provence bike tours traditionally start in Villeneuve-les-Avignon and runs through the culturally rich countryside from the banks of the Mediterranean back to the vineyards of Avignon. Avignon is interestingly known as the “City of the Popes” because it used to be the official home of the Roman Catholic papacy from 1309 to 1377. We believe that the best way to experience and discover Provence is by hiring an old drop down classic car and driving through the historical French province. Almost every village in Provence has its own boutiques and markets that are dedicated to a local specialty cuisines, so a leisurely drive through this part of southern France will leave you a couple of kilograms heavier than you were when it started. You’ll essentially be experiencing a quintessential slice of Provence, as the back roads wind past olive groves, ancient vineyards and medieval hilltop towns. After you’ve done the back roads you can head to Provence’s most famous cities on the French Riviera, cities like Nice or Cannes. 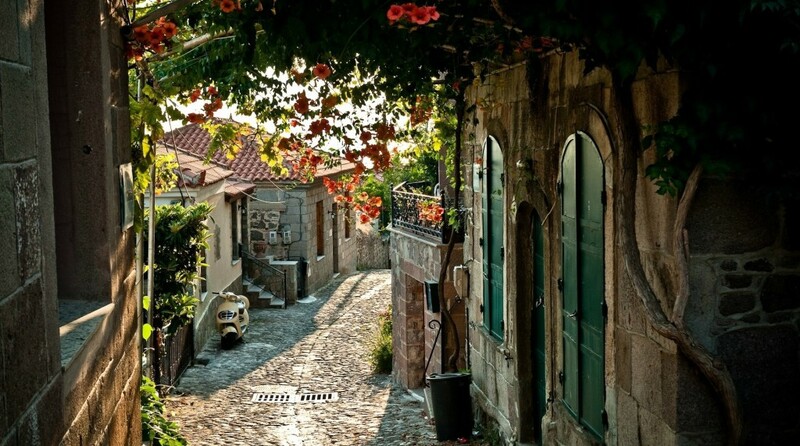 Here you can enjoy real luxury and rub shoulders with the rich and famous while trying to digest the delicious food that you ate during your trip through the back roads of Provence. For many people Vietnam is not a country but a war because of the long war that was fought between the US and Vietnam from the 50’s to the 70’s. Today however, Vietnam is fast becoming one of the world’s most popular destinations among backpackers, young travellers and adventures. There are also high end accommodation properties available across the entire country and the great thing is that it’s not that expensive. The most famous and popular tourist site in Vietnam is Ha Long Bay. 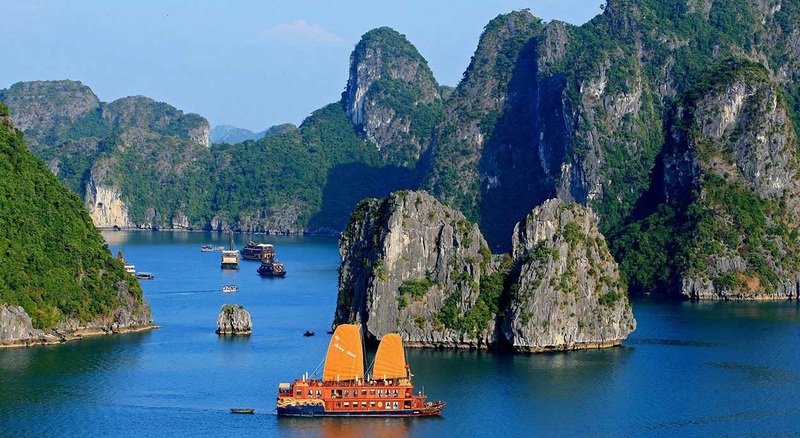 Taking a cruise though Ha long Bay is the best way to see and experience the beauty of this world heritage site. The bay is situated in Quang Ninh Province in Vietnam. 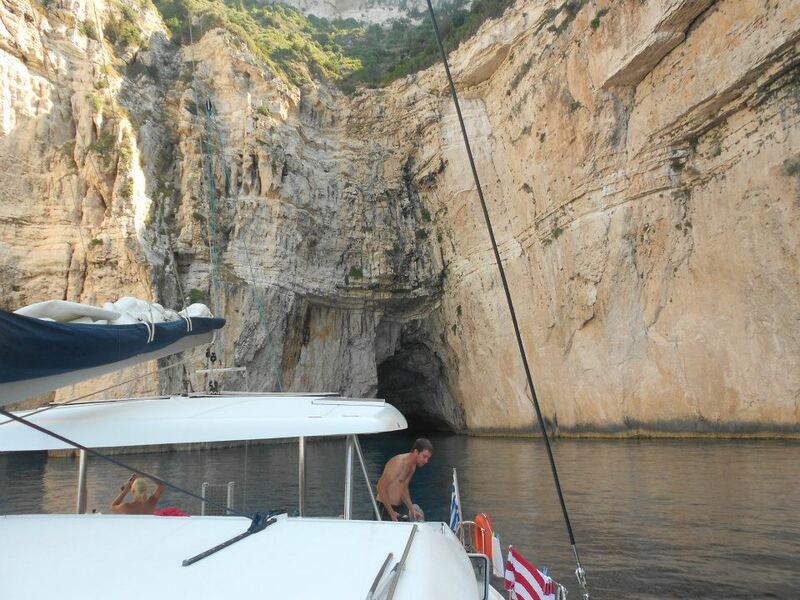 It is made up of over a thousand islets with countless caves and beaches to explore. Many of the buildings that were partially destroyed by the Vietnam War has been left as is and turned into memorials. The countryside and the coastline is still very rural and remains largely untouched by the western world. 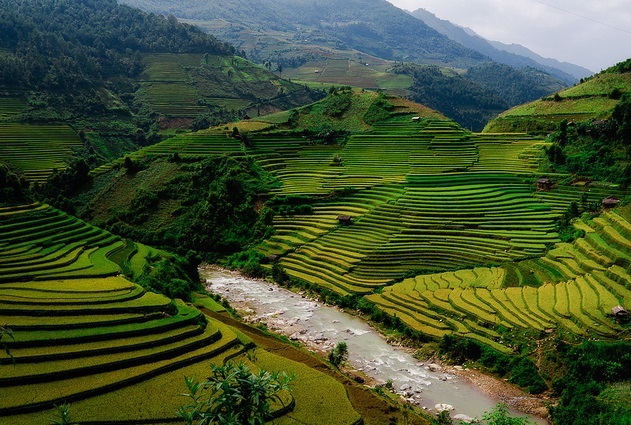 From the huge agricultural rice fields in the north to the traditional small villages in the Mekong Delta in the south, Vietnam is a country of breath-taking beauty. Vietnam is a country with a long history and ancient traditions. Along with the war memorials they have many cultural attractions and ancient temples for tourists to visit. With the country being so cheap to travel through, there is nowhere else in the world where you can experience such a fascinating and beautiful country on such a small budget than in Vietnam. The Great Barrier Reef is the world’s largest structure composed of living entities as well as the world’s largest and healthiest coral reef. It comprises of approximately 2900 individual reefs and 900 islands which stretches around 2300 kilometres and cover an area of over 344 400 square miles. 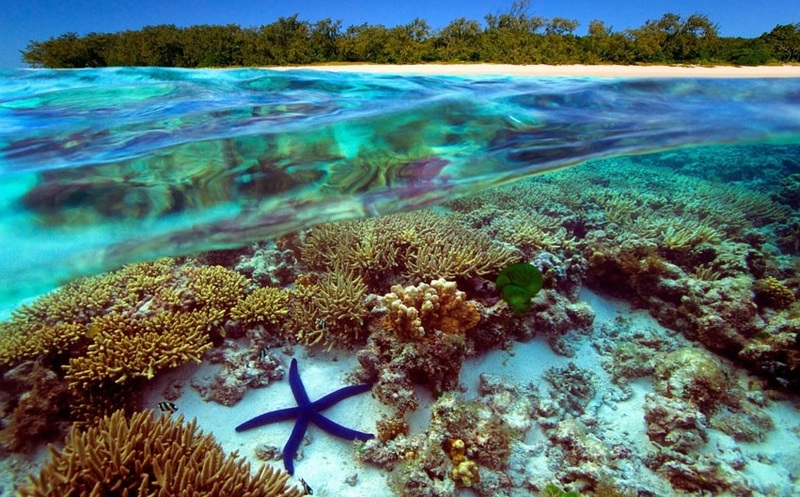 The reef is both a UNESCO World Heritage Site and one of the seven natural wonders of the world. Situated off the North Eastern coast of Australia this watery wonder of the world is one of the world’s most popular tourist destinations, attracting hundreds of thousands of visitors every year. Thirty species of whales and dolphins live on the reef. Along with the whales over 1500 species of tropical fish, 17 species of sea snake, 400 different forms of coral, 200 types of birds and 20 types of reptiles live on this massive offshore reef. The best way to explore the reef is by doing excursions that are operated from the Queensland coast. A wide variety of accommodation is available from 5 star accommodation to self-catering apartments. 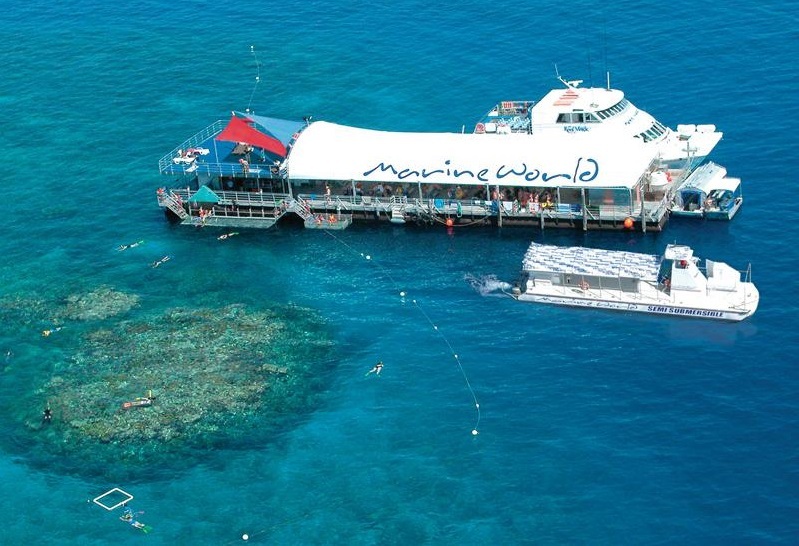 Tour operators take you on a cruise boat to a diving platform that has been set up next to a coral structure. From the platform you can explore the reef with ease under the watchful eye of scuba instructors and local guides. Get your scuba licence today or miss out on one of the world’s greatest adventures, diving in the Great Barrier Reef. The ancient Japanese Civilization has given the world so much from, crazy game shows, great cars to (the most famous Japanese export) Sushi. Cultural and Culinary tourism in Japan has been the most popular selling points for the Japanese Tourism Industry. Recently walking tours through ancient trade routes have become very popular, it’s not difficult to understand why. There are a lot of trails that trek through the whole country to choose from, the most popular of which is the Nakasendo Trail. 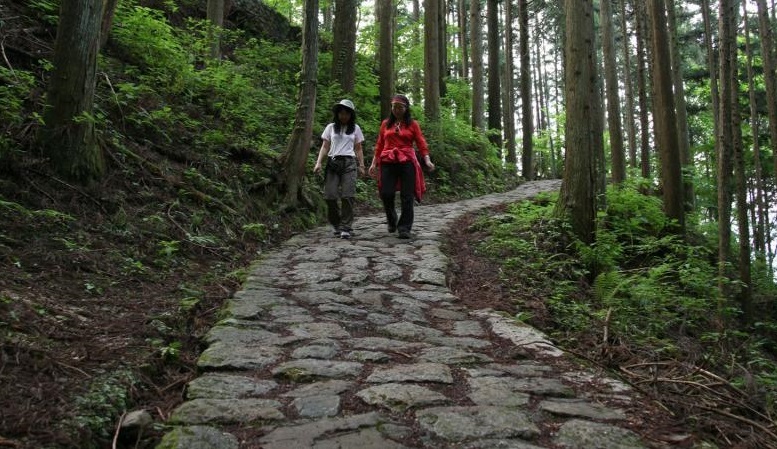 This trail takes you through rural Japan from Kyoto to Tokyo along a route that was first used in feudal times. 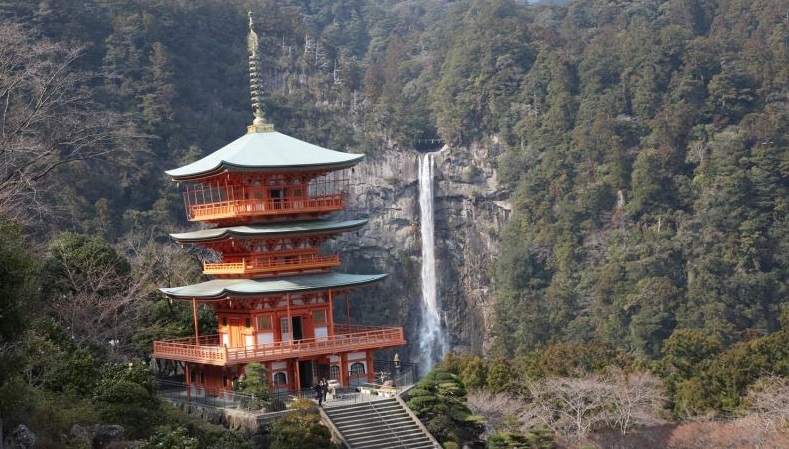 By walking this route you will be following in the footsteps of ancient monks and traders who walked through the Japanese central mountains either for a trade expedition or for a spiritual journey. The ancient paved paths and mountain trails take you from one perfectly preserved trade post to another. You pass through towns such as Nojiri, Tsumago, Yabuhara and Hirasawa. Here you will be welcomed at your guest house by friendly locals who will make you feel right at home. Each night you will be served delicious fresh food and local speciality drinks. This trip takes you back to a simpler time before the trappings of modern living dominated our lives. It is a spiritual journey just as much as it is an adventure, a journey like no other.